In connection with the recent big discussion about Christianity and guns, Terry Morris sent the image of a nineteenth century painting which shows not only Christians carrying arms, but Christians in America carrying arms, indeed the original Americans. So it’s a trifecta. 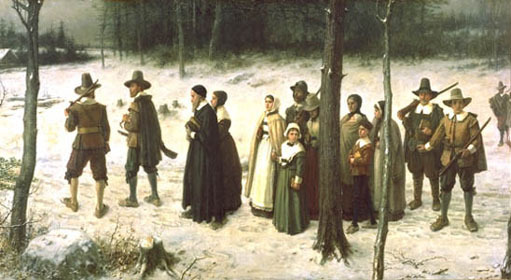 Pilgrims Going to Church, by George Henry Boughton, 1833-1905.